For the third day, we went to Kopitiam Kita that serves over 40 types of nasi bungkus. 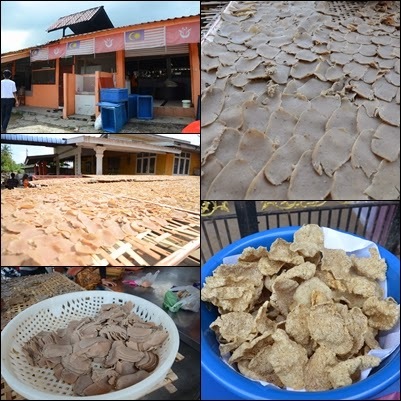 All the nasi bungkus comes from various homes and villages to be sold on this premise. 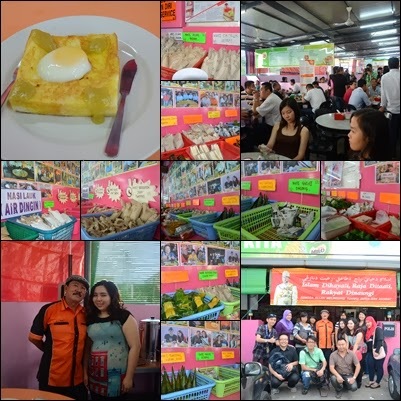 You can visit this kopitiam for variety of food and also the shop specialty Roti Titab. Nasi Air Dingin and many other Nasi Bungus(packed rice) to select from. Next we visit Wau Maker in Kg. Badang and boy the Wau are huge! 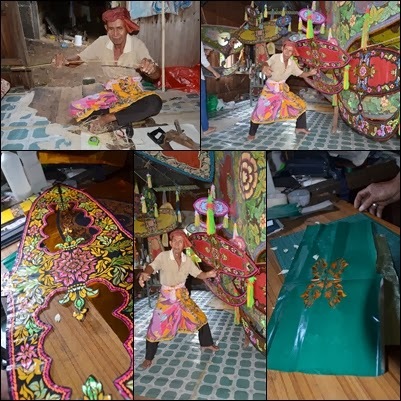 It takes a lot of work to make Wau and details to make it pretty. The fine details of every patterns are carefully cut out by hand. The Wau maker posing for photos. 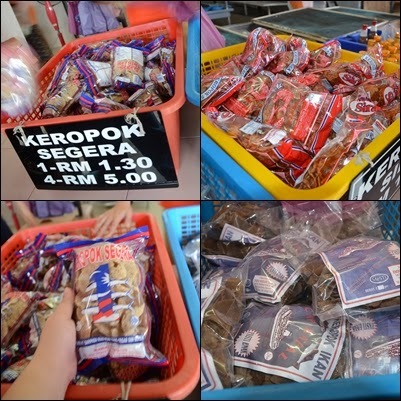 I love the Kelantanese keropok, it's so delicious and best paired with nasi kerabu. Yum yum. The price is cheaper than market because we buy directly at the factory. 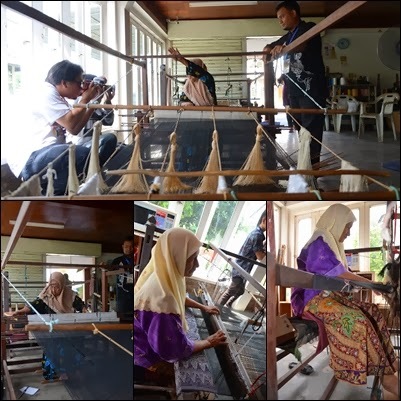 Next we visit Che Minah Songket and watch how Songket was made. 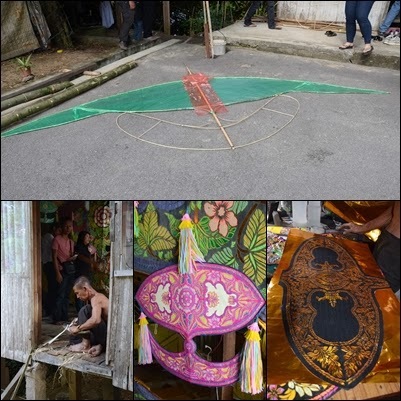 Songket was made strings by strings and using a ruler to change motif and purely made by hand without any machines. The staff showing the most expensive songket that is priced at RM5000-RM6000. 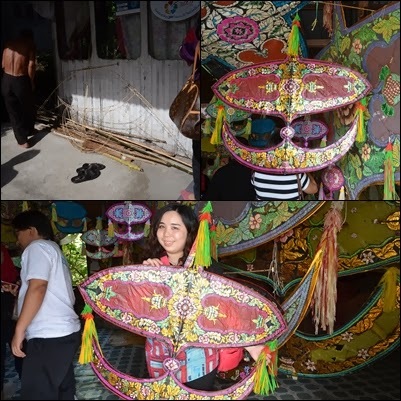 Imagine the craft that goes into this Songket and it is made with silk too. This mosque is unique because the design is like a real temple! Monks even mistaken this place as temple the only giveaway is the building with speakers for prayers. 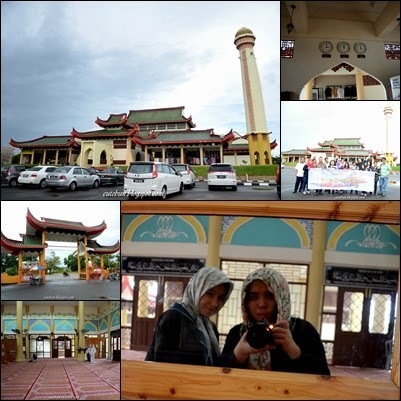 This is my first time inside a mosque. I like how they have designated area for female and male prayers place in the same hall. 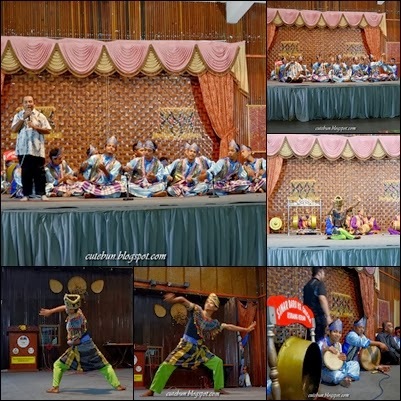 We are honoured to watch performers performing traditional Kelantan dances. It's definitely an eye opener for me. I never would have thought the dances were so special especially the Peacock dance. 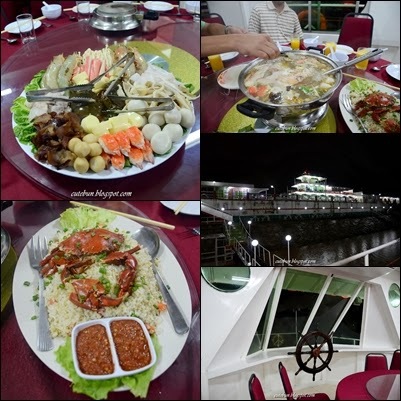 We had steamboat dinner on boat! 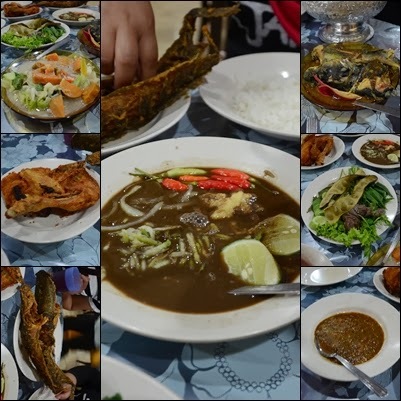 Well the restaurant is in a shape of a ship situated at the Kelantan River. Dinner was filling. I feel in love with the interesting beat to Dikir Barat when I first see the performance at Hotel Perdana. They can literally clap to any songs! We even participate in the performance in the end and someone from our group actually sang Gunung Kinabalu song. I sat right next to the real performers and mimic their every moves. Last destination before we depart to the airport is Pasar Sit Khadijah! 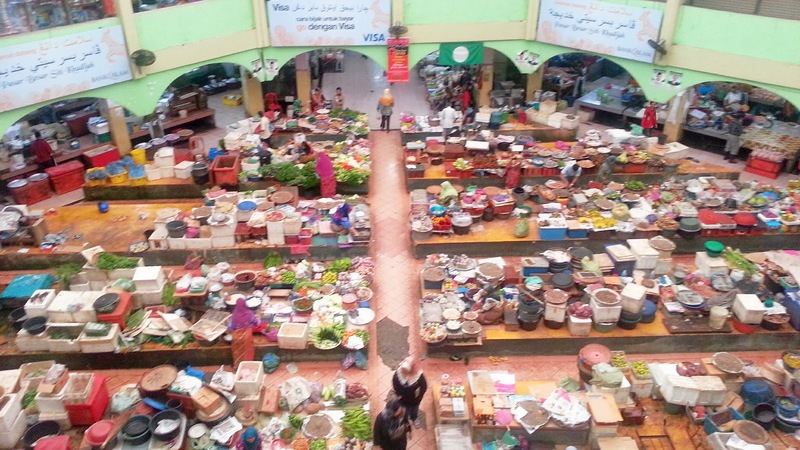 The largest market in Kota Bharu and they have everything from clothes to food. 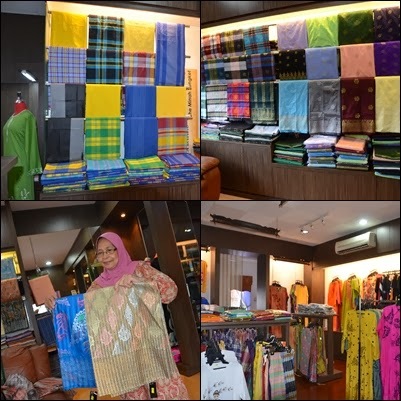 Calista, Diana and I bought cloth each to be made into Kebaya. =D We had a good deal buying them and I can't wait to get it tailor made into a beautiful piece. Overall Kota Bharu is a great destination for eating, discovering new cultures, relax in the small city and everything else is within walking distance! Airasia now fly from Kota Kinabalu to Kota Bharu twice a week.